Our mission at Perpetua Fitness is to guide you on your journey to unlocking your full potential. We believe that your body is capable of whatever your mind allows it to be. We want you to achieve long lasting results and be able to incorporate lessons learned into everyday life, outside of sport. Whether you’re training for your first triathlon or toeing the start line of your 20th Ironman, we can help. Having grown up living a very active lifestyle water skiing, playing basketball, football, and soccer, sport has always been a passion of Jan's. Picking up running while at the University of Florida to stay in shape, then incorporating CrossFit into his daily routine, he found himself looking for a challenge. Enter triathlon. 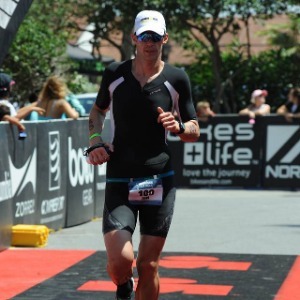 Completing his first 5K and first Ironman 140.6 eight months apart, he knew that the sport was going to be a major part of his life as long as he was able to compete. Now, several years later, he wants to share the passion and knowledge he’s gained with others. The only thing he enjoys more than the feeling of crossing the finishing line himself, is helping others achieve their goals and realizing their capabilities. Success. Coach Jan Valk has been notified of your message.